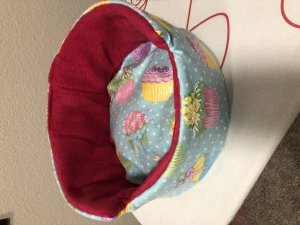 Super soft cuddle cup for small animals. 11' diameter. Hot pink inside fleece with sparkly cupcake design. 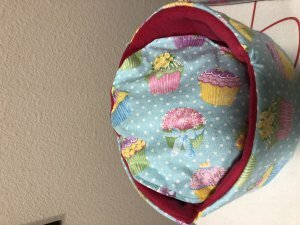 Removable cupcake pillow for machine washing. No visible seams for your rodent to chew on.